My mom, Rosemary, was diagnosed in 2000 with Stage 3 breast cancer. When we told friends and family about my mom’s diagnosis, there was an immediate outpouring of support. People made meals. They helped with transportation to chemo. People sent cards and called daily. We met survivors and made cherished friends. Our community gave us solace. And they gave us pink ribbons. My mom didn’t really need them because she already had a bunch. She already wore a pink ribbon lapel pin; there was a pink ribbon magnet on the fridge; and she had accumulated quite a collection of pink ribbon t-shirts from walks and runs for the cure to honor her younger sister, who had been diagnosed a few years before her. To my mom, as to many women living with breast cancer, the pink ribbon became a beacon of hope. It represented solidarity with the more than 2.9 million other women in the U.S. living with the disease. It offered comfort and reassurance that you could survive this awful disease. My mom wore her pink ribbon with pride: through the lumpectomy, eight rounds of chemo, and ten weeks of radiation. As harrowing as this journey through breast cancer was, my mom also found her voice through her experience. During this time, I was starting to build my career as a community educator, and my mom often commented how she would never be able to get up in front of a crowd and talk. She was a kind, thoughtful and quiet woman who never wanted to be the center of attention. But after she lost her beloved sister to the disease at only 41 years old, my mom honored her sister by gathering more people to those walks for the cure and becoming a stellar fundraiser. All those walkers should be fed, so she organized an annual team breakfast. An organized breakfast requires one to make a few comments. My mom spoke about her beloved sister. As the years went on, she added bits of information about screening or ways to reduce risk or what else could be done to prevent breast cancer. Six years after remission from the first cancer, she was diagnosed with a second type of breast cancer. Then came a bilateral mastectomy, more chemo, three failed attempts at reconstructive surgery, numerous infections and significant pain. 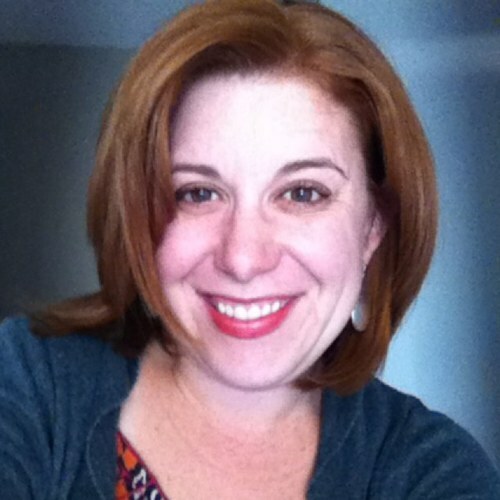 Still, she grew her fundraising and advocacy efforts, adding a large daffodil sale to her annual events, and was soon tapped to volunteer with a local cancer advocacy organization. Her story was compelling, so they asked her to go on the radio with it. Then TV. When I watched my mom on a local morning television show talking about the needs of women with breast cancer and how to volunteer in the community, I was never more proud of her. The diagnosis of the return and spreading of that first cancer into metastatic disease came in early 2010, following a bout of lymphedema. One of her first comments to me after sharing the devastating news was that she knew she would have to stop volunteering to focus on her own care again and how sad this made her. She had become a tireless advocate for women with breast cancer and remained so until she died in July 2012. And as people have to do after the death of a loved one, there came a time to let go of her belongings. First, my father and I had to wade through a sea of pink. Box after box of pink ribbon jewelry. Teddy bears. Angel statues. Prints, coffee cups, ball caps, scarves, picture frames, Christmas ornaments, key chains, and her favorite “Fight Like a Girl” sweatshirt. I chose a few of her most treasured items and mailed them to a dear friend of hers who was also coping with breast cancer. We gave some of the jewelry and statues to her friends and nieces. Much of it, we bagged and boxed and donated to a local thrift store. There had to be over one hundred pink ribbons in the house. I wear her pink ribbon sweatshirt to bed when I miss her. It is the only pink ribbon product I kept for myself. Because for me, the pink ribbon has become a reminder of losing her. However, if I ever come to regret my decision to have parted with her pink ribbons, every October and pretty much any other month of the year, there is a growing onslaught of pink ribbon products available to me. I can get my morning coffee on the way to work and find out 1% of my bean purchase will support women with breast cancer. I can buy sneakers at the mall and walk out with the knowledge that breast cancer research will now be better funded because of me and my kicks. I can stop at the perfume counter and be doused in a bath of harmful chemicals, but there’s a pink ribbon sticker affixed to it, so it’s probably not that harmful, right? Oh, and I can’t forget to swing by the funny t-shirt store and get a “save the ta-tas” shirt. If I was so inclined, I could even purchase myself a pink car to drive through the drive-thru and grab a fast food bucket stamped with a pink ribbon…..um, because how else would one get prepared to battle an epidemic? Hmmm…didn’t I see an ad for a pink firearm just for women somewhere along the way? That sounds battle-worthy. When I start talking about my concerns about the pink ribbon, people often ask me what my problem is (not in that seriously inquisitive kinda way, but in the seriously, you are taking issue with THIS?! kinda way). They equate questioning this symbol with a lack of support for women living with and who have died from breast cancer. My problem is that pink is a color and not a cure. The pink ribbon has been corrupted. Corporations, not community, have become the primary promoters of the pink ribbon. Corporations are exploiting our collective generosity and concern for breast cancer patients to make a profit. Many of these companies are not transparent about which breast cancer charities or research, if any, are benefiting from our purchases. Other companies are pinkwashing, claiming to care about breast cancer (often evidenced by placing a pink ribbon on a product) even though their product actually increases a woman’s risk of breast cancer! There are also countless pink ribbon promotions that degrade women by objectifying their breasts and bodies. Campaigns focusing on saving the boobies, the ta-tas, and second base send the message to women with breast cancer that saving your breasts is more important than saving your life. And what of the pink ribbon warriors? Will the world view my mom as weak because she didn’t “win her battle” with breast cancer? Had she “fought like a girl” just a little bit harder, would she still be with me today? One day I had just had enough. Surely I could not be the only one fed up with a pink ribbon around every corner. 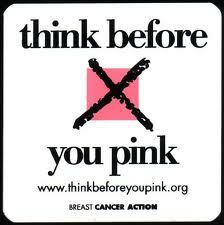 Google quickly led me to Breast Cancer Action’s Think Before You Pink® campaign. My head nodded in agreement as they drew attention to how the pink ribbon, which was first distributed to draw attention to breast cancer at a time when few were openly talking about it, now stood to overshadow women living with, dying from, and at risk of the disease. It seems that the ribbon may have been co-opted from the beginning. The very first breast cancer ribbon was peach and when Charlotte Hayley, the woman distributing it to her friends and family to raise awareness about cancer prevention, wouldn’t agree to let a large cosmetics company attach it to their products, the company changed it to pink. People think pink is warm, feminine, comforting, quiet. Pink does not convey action, critical thinking, or justice. To end the breast cancer epidemic, we do not need a new ribbon. 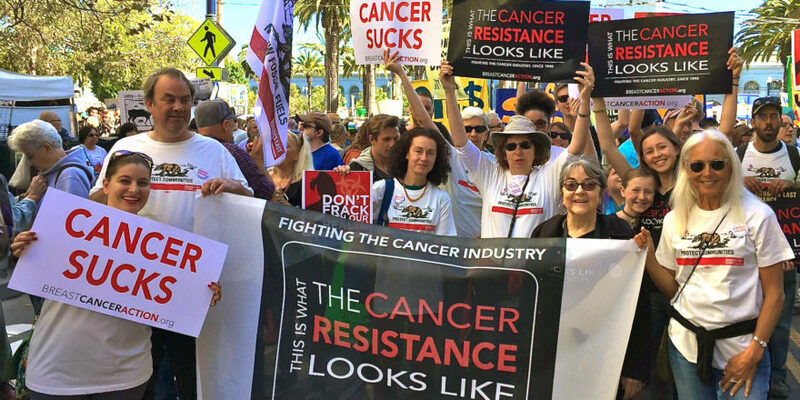 We need new action, we need critical thinking and we need justice: on the environment, on social inequalities and health disparities, and on putting patients before profits. We need targeted funding of research and patient services. People with breast cancer deserve more from us than upping our consumption of pink stuff in their names. Pink ribbons did not save my mother from dying of breast cancer. She fought; she was a warrior; and still she died of breast cancer. Since losing her, I’ve become a volunteer Community Leader for Change with Breast Cancer Action. We’ve had 30 years of awareness but still an end to this epidemic seems elusive. It is time to stop the distraction and shift the conversation about breast cancer. I often wonder what my mom would make of my joining the call to Think Before You Pink. I think she would be proud that I have found my voice in this movement.